Commerce, CA – January 9, 2019 – Beginning the new year with full momentum, DECO Lighting continues its mission to be the leading manufacturer of innovative, energy-saving LED lighting fixtures. 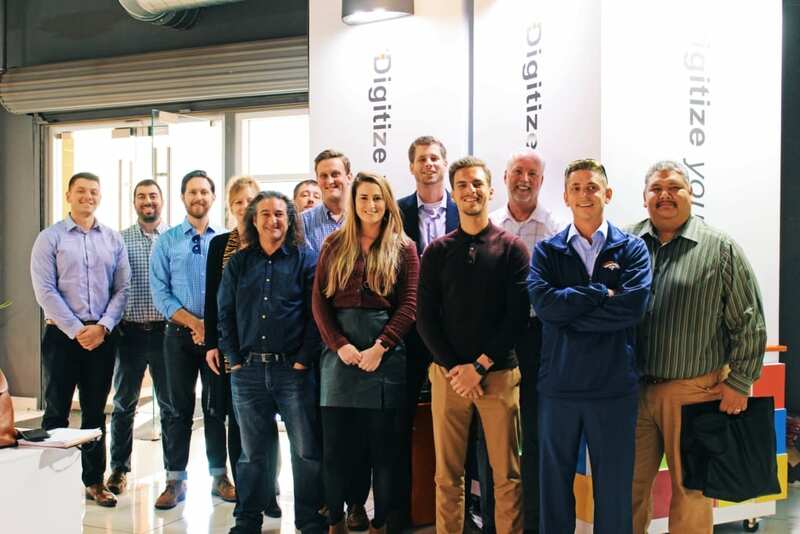 DECO Lighting is growing faster than ever and eager to deliver its next-generation lighting solutions to more projects throughout the United States. DECO invited valued sales representatives from all over the nation to sunny Los Angeles, California. During the meeting, they discussed new lighting innovations and technology scheduled to release in the next quarter. Sales Representatives posed for a photo with Eastern Regional Sales Manager, Dave Alber, and VP of Sales and Marketing, Steve Schwartz. Sales partners present included representatives from TEAM Lighting in Charlotte, NC, Curtis Stout in San Antonio, TX, Gormley-Farrington Inc. in Cleveland, OH, Illuminations Inc. in Philadelphia, PA, VBC Lighting in Buffalo, NY, CT Lighting and Controls in Las Vegas, NV, and Healy-Mattos in N. CA. Eastern Regional Sales Manager, Dave Alber, who joined DECO Lighting back in September of 2015, spearheaded the meeting. DECO’s HR Manager and Office Manager coordinated accommodations, activities, and catering. During the meeting, Dave Alber, Dir. Product Dev & Engineering, Michael Bailey, and DECO VP of Sales and Marketing, Steve Schwartz gave a thorough presentation on DECO’s mission and values, most innovative technologies and previewed new products set to launch in the coming months. Afterward, sales partners received an exclusive tour of DECO’s Commerce offices and warehouse. Walking through the decked-out superhero themed walls, the sales partners viewed a glimpse of DECO’s company culture and values. Every member has the power to contribute to the greater good of this company and the industry. Following the tour, the sales partners met with DECO co-founders Sam Sinai and Ben Pouladian. 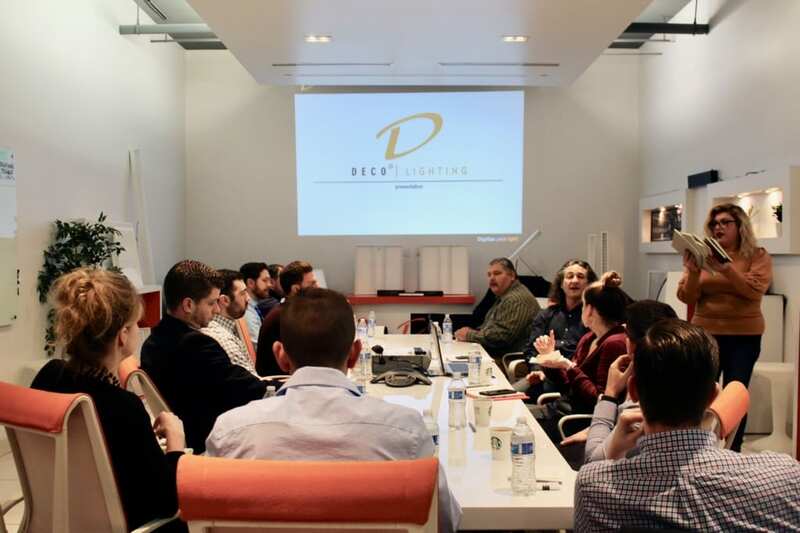 The group discussed developments in the lighting industry and offer suggestions to DECO’s current practices. DECO values the fresh perspectives of its sales partners who have witnessed different lighting industry trends throughout the nation. “You can’t Amazon Prime a relationship,” says Ben Pouladian, Co-Founder and President of DECO Lighting in reference to our long-standing relationship with our sales partners. DECO is proud to have built a strong and supportive network of lighting professionals during its 13-year existence. DECO Lighting continues to innovate by constantly improving its R&D processes and fixture designs. This innovation is what continues to drive the company forward. 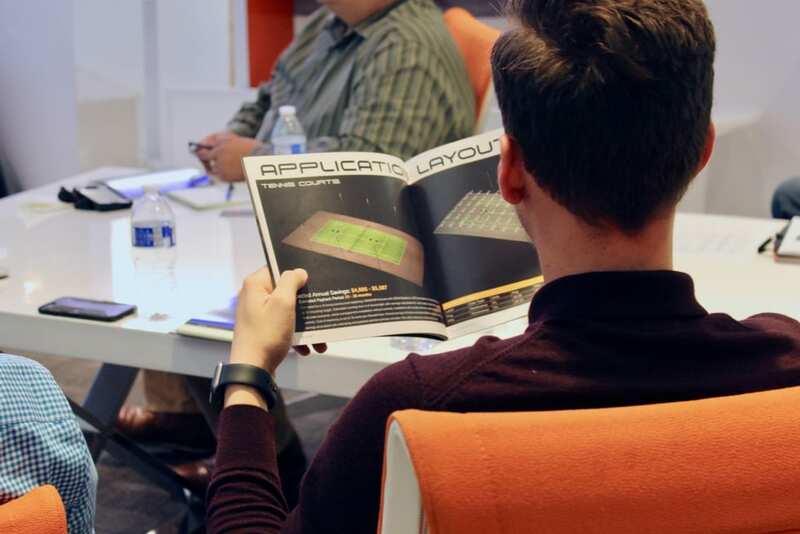 New ideas enable the company to grow and adapt to the changing landscape of the LED lighting industry. DECO Lighting is prepared to light up 2019 through several design enhancements and other technology surprises in the works. DECO Lighting is a leading provider of innovative lighting fixtures and systems for the commercial, municipal, and utility markets. Commerce, California is home to DECO Lighting’s warehouse and main office. DECO Lighting aims to Digitize Your Light™ by offering the latest in green technology, energy-saving lighting, and efficient controls. Continually winning industry awards and patents for their unique US-made products and designs, DECO Lighting utilizes the latest and most advanced lighting technologies to improve lighting quality, increase efficiency, and sustain the environment. Partnered with leading LED manufacturer Nichia, DECO Lighting offers the only ten-year warranty with labor in the lighting industry. A market-leading manufacturer of green lighting technology, DECO Lighting serves the growing need for sustainable lighting and control solutions. DECO is a recognized leader in the lighting industry and is committed to delivering superior value to its customers and clients on a consistent basis. For more information, please visit www.getdeco.com and follow us on Twitter, Instagram, Facebook, and LinkedIn.